Windows are not meant to welcome the fresh air only but can be more useful in various ways. Either it’s for your small hanging flower pot that you want to hang on or the stained glass that would intensify its look; there are more and more ideas which you will find out here in this post. 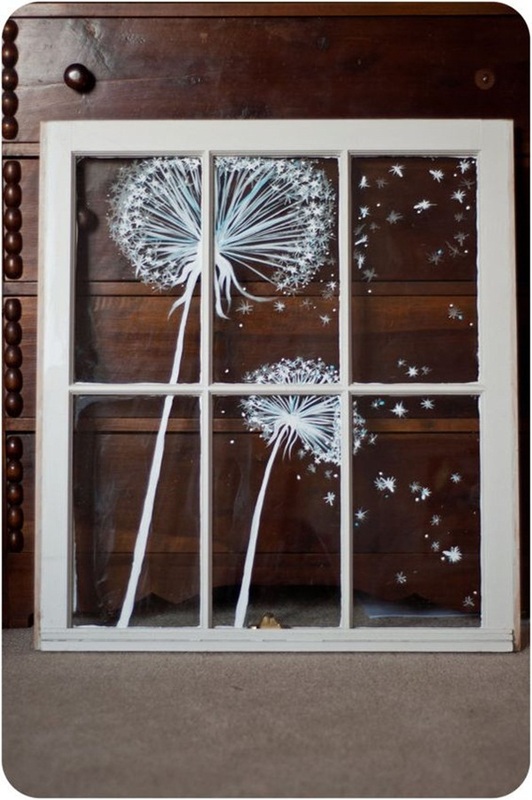 In order to bring that artist inside you, this time we got you some crazy and clever examples of window art. From a school going kid to busy housewife, anyone can craft and implement these ideas for better living and fun. What do you think comes under the clever examples of window art category? Well, it depends what you want and how you want your window look or the way you want to use it anyway. 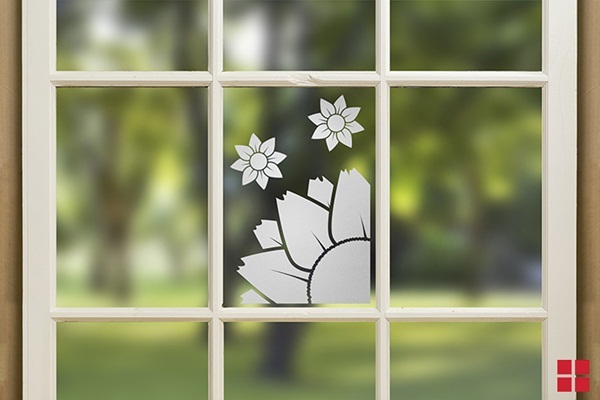 No matter what your window design, material and size is, with the clever examples of window art you can redefine the personality of your house. 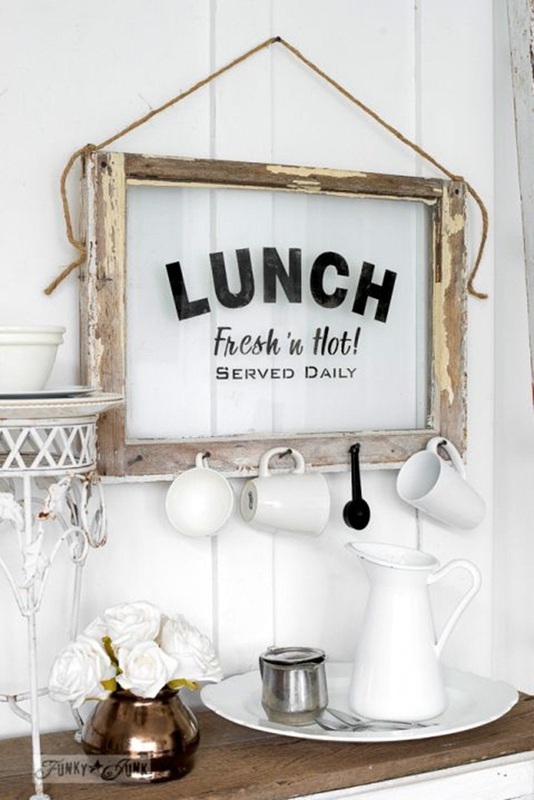 Just a small project for your kitchen to make it look more significant and inviting, especially to the hungry people. It’s strongly recommended if you own a restaurant or serve food. Just, get the window panel and paint it easily with INVITING message. 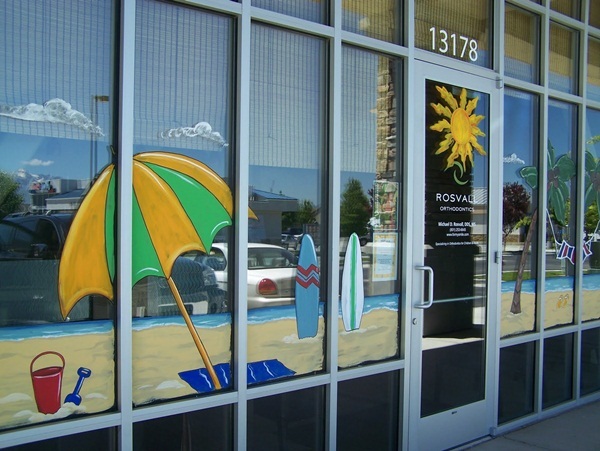 Acrylic paints are the best when it comes to paint a window glass panel or any glass window. If the window background is black or the dark, you can consider white of any bright color as it’d pop out and look catchy. Let the kids do this art and it’s really simple and amusing to do so. 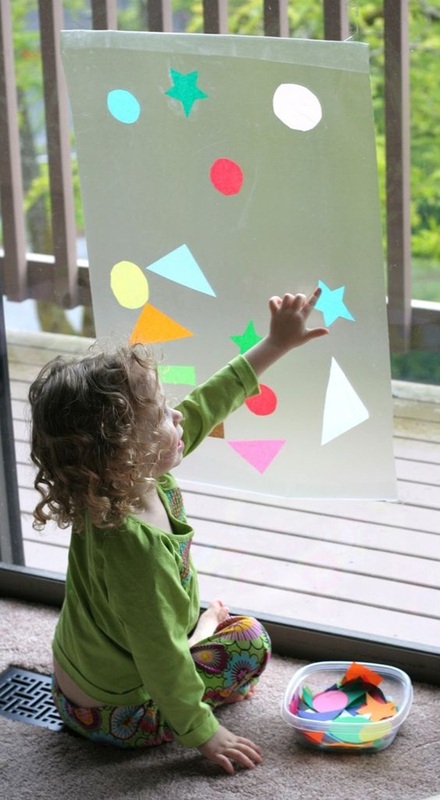 In order to do so, bring the colorful contact paper and paste them on the window panel with glue. 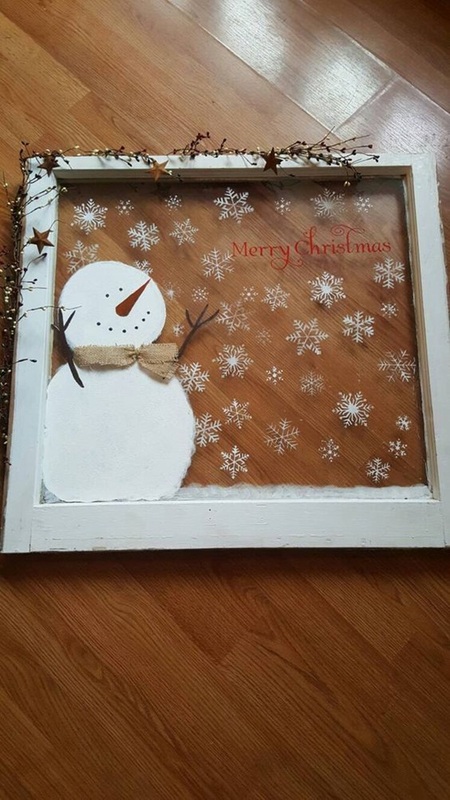 Consider this one for the old vintage window panel! 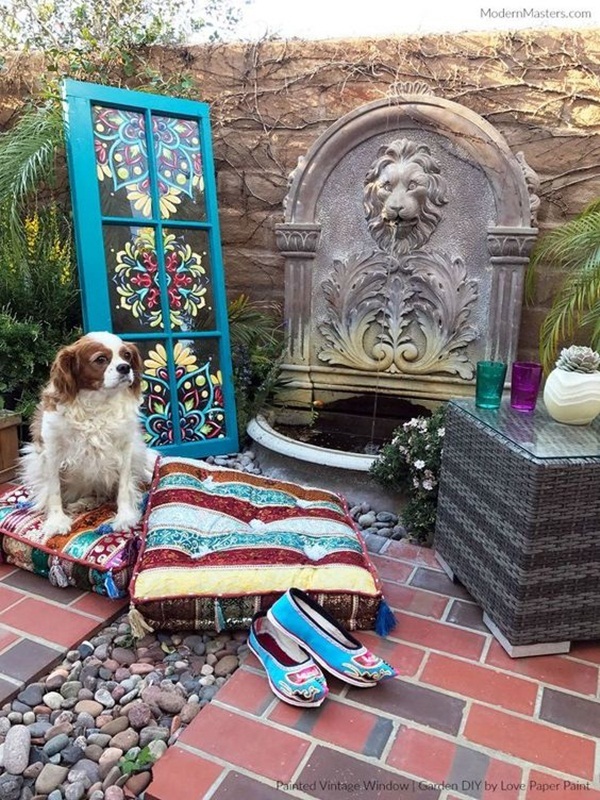 This clever hack will surely impress the guests and keep the positive atmosphere at home. 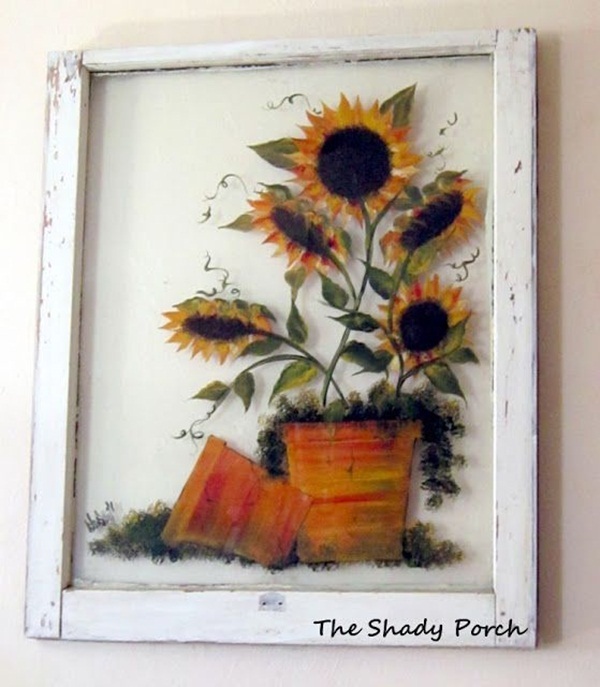 Try this hand painted flower pot portrait to bring out the creativity in you. The moment when you want to play a prank! 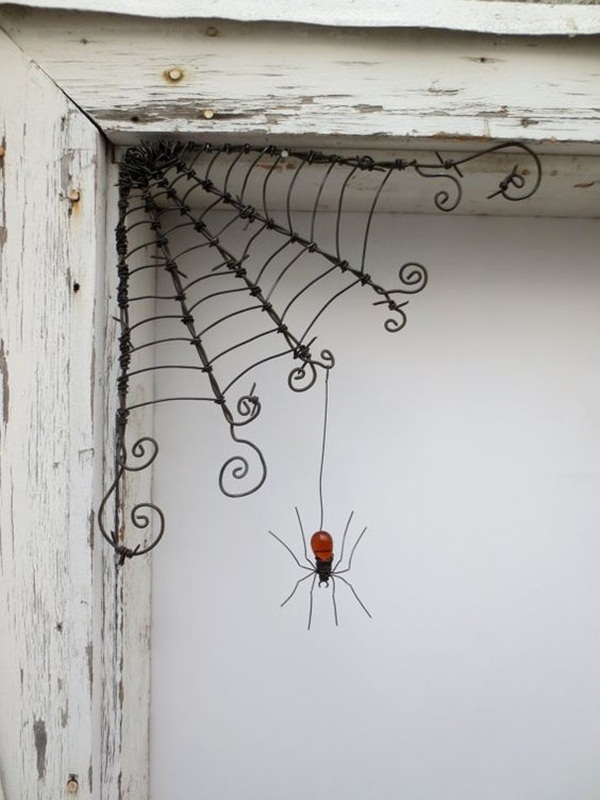 Such scary idea demands only a wire and a spider toy to get it done. Moreover, you can place it near a door wreath. The moment you got no idea about painting or the design, just draw the lines to make it look a tree and write down an inspiring quote over the glass panel. 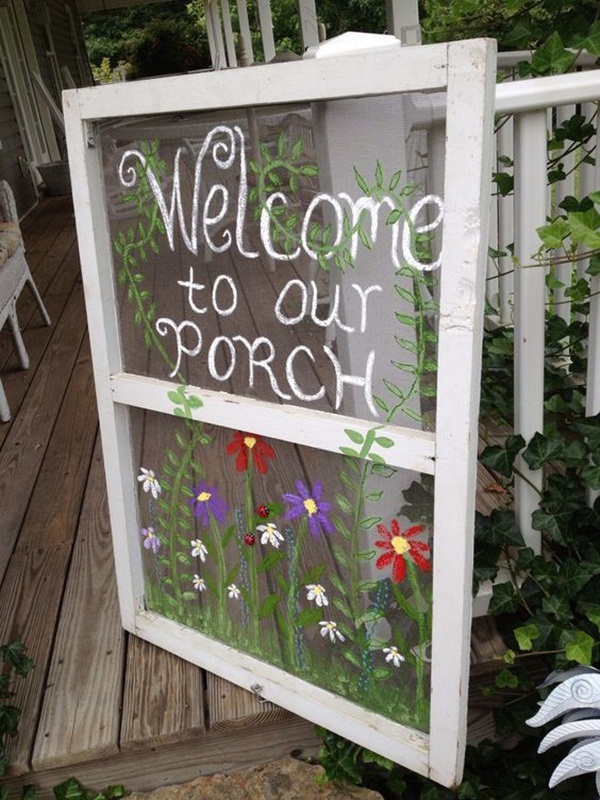 What a transparent way to welcome your pals and neighbors! 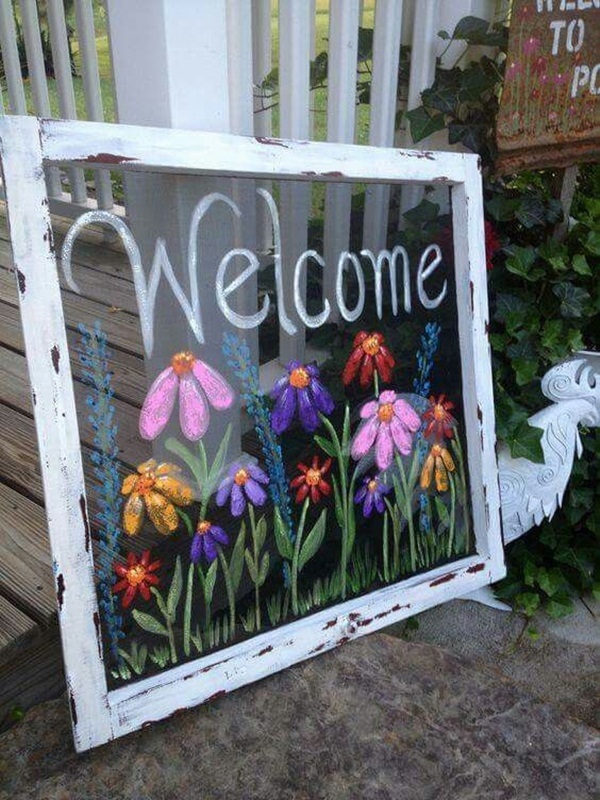 Moreover, paint colorful flowers to make it look inviting and significance. 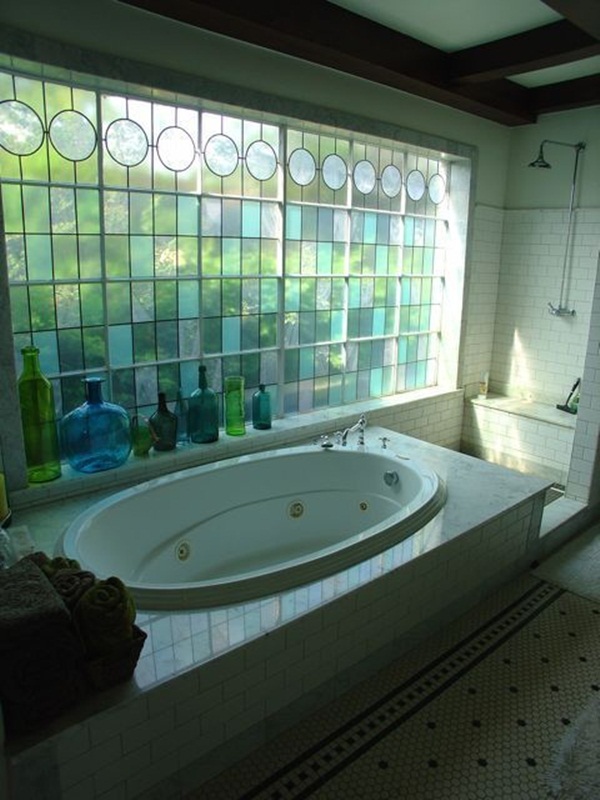 Stained glass windows are incomparable and are always in demand! 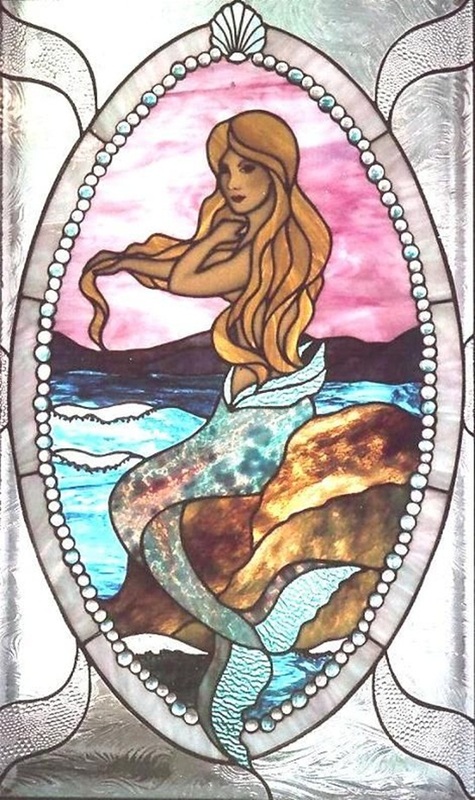 When it comes to the idea, fictional mermaid design and scenic beauty of deep blue sea is astounding. Let your little champ do this project. Here, contact papers are easily accessible and you only need to cut them in various shapes and design and paste them with glue. Consider this example for the upcoming Christmas decorations. 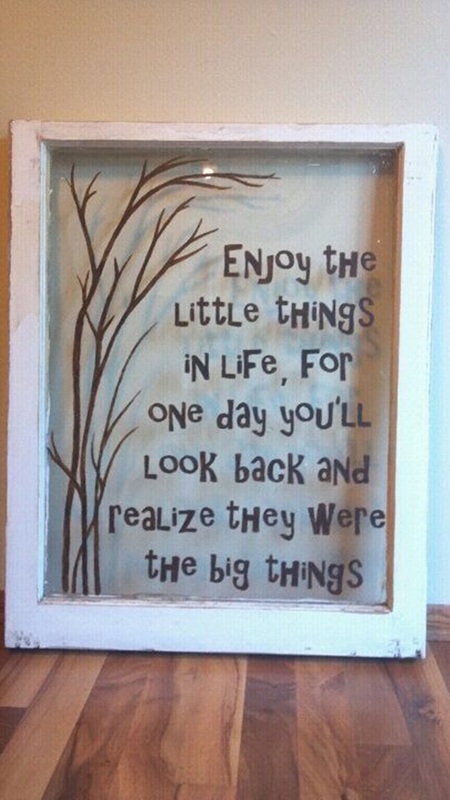 Tip- you can place it anywhere, outdoor or indoor, hang it or put it down on the ground and so on.. 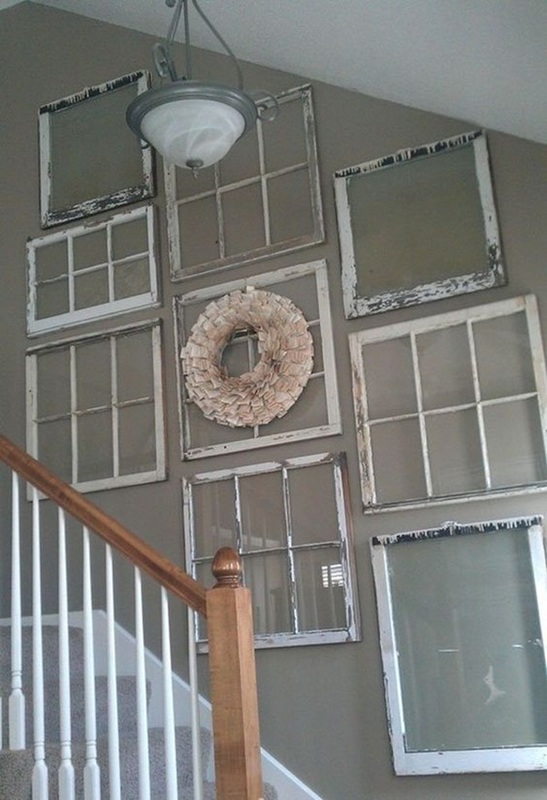 So, you got manyyyyyy window panels at home and looking for the idea? Well, no need to go for glass painting or any artwork as you need to just hang them all in such a creative way, especially on the blank walls. 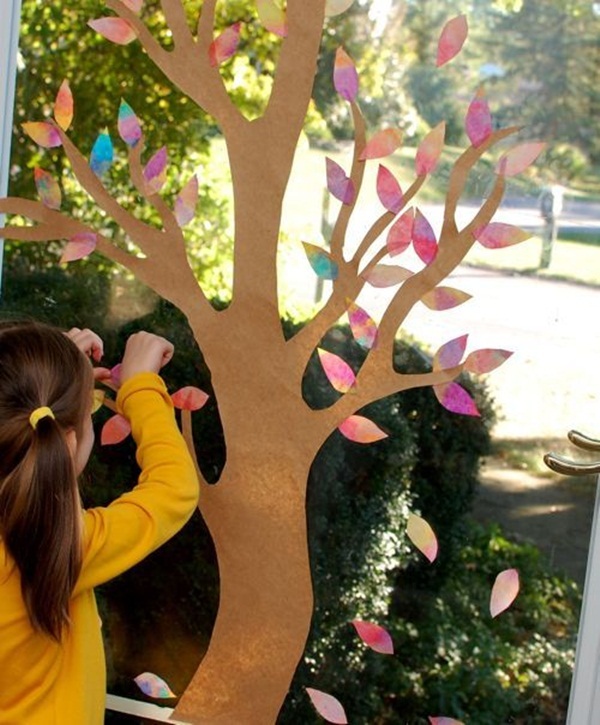 Sometimes, you might feel doing something traditional and this time, window art project can get you that art project. Consider this one for backyard garden decor. Ahan! Now, that’s something insane and awesome to look at! 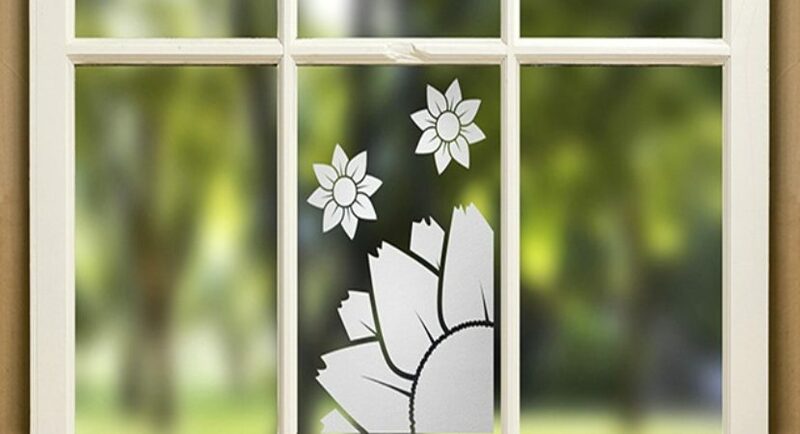 Let the random things and design come out of your mind and depict them all on window glass. Such designs and ideas are meant to symbolize what’s going inside! You may find such window art work on stores or the clubs. 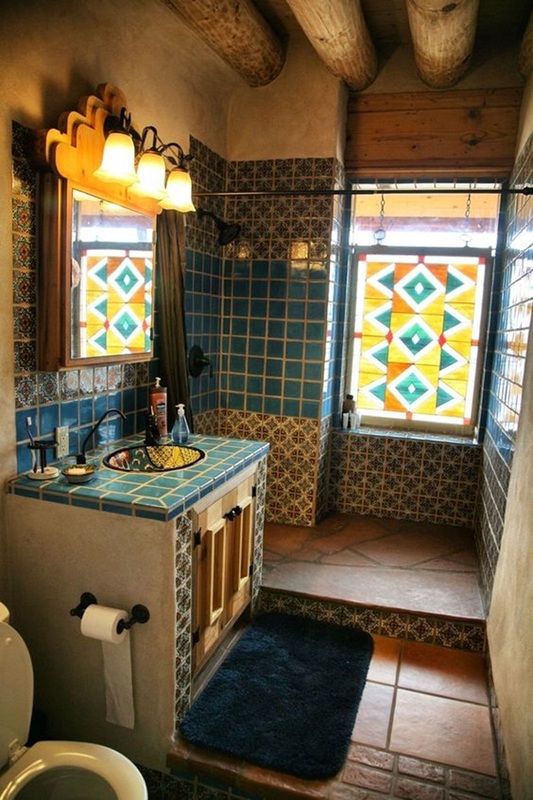 In order to bring that charm and sensation to your bathroom, and this will surely cheer up your mood when you take a bath. Another masterpiece for exotic relaxing moments in bathtub. Green color is to enhance the natural outside view. A simple and minimalist but soothing and eye catchy portrait is one of the clever examples of window art.